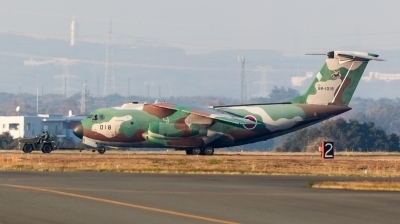 ELINT version of the YS-11 at Iruma with many humps and bumps. 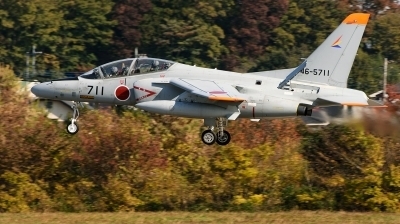 A local T-4 con be seen in the background coming in for the landing. 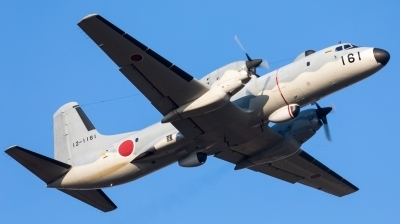 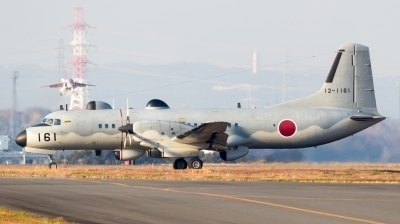 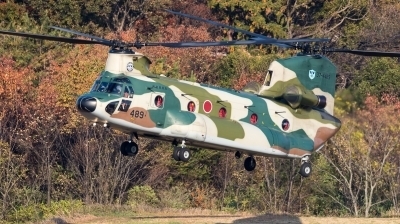 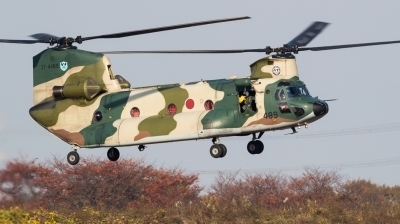 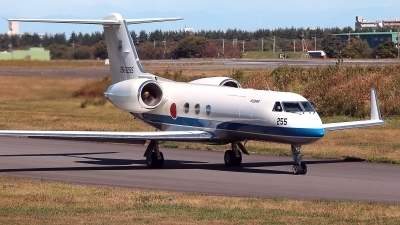 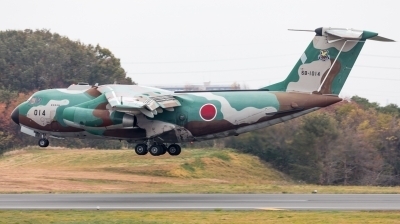 ELINT version of the YS-11 taking of from Iruma for a training flight. 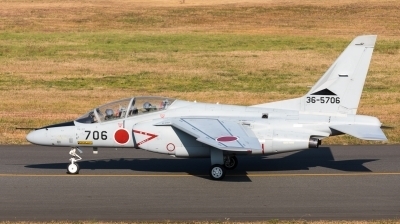 With the arrival of the new 'EC-2' the days of this rare airplane seem to be counted. 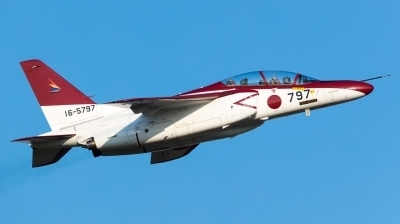 red/white T-4 now based at Iruma. 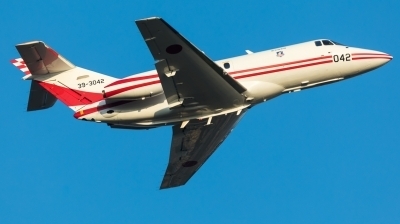 Compared to the past the tail markings have (unfortunately) been significantly reduced in size. 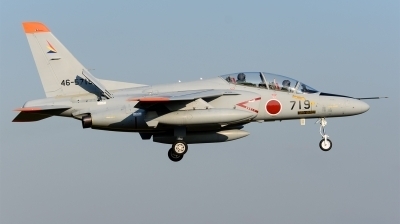 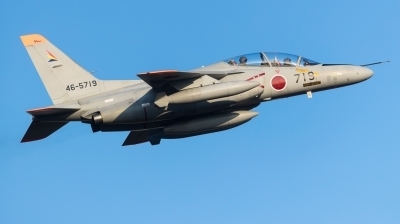 gray T-4 now based at Iruma, wearing large tail markings, but in a toned-down gray/black version. 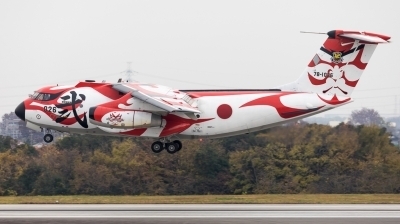 wave back to the friendly crew member with his big yellow glove! 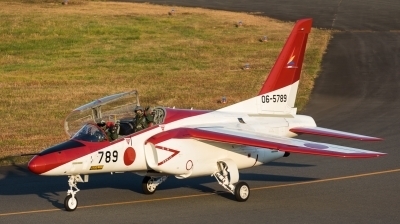 not the best weather this morning, but at least I got this special scheme celebrating the 60th anniversary of the transport wing at Iruma. 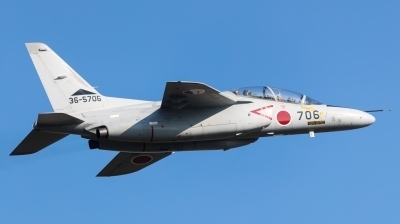 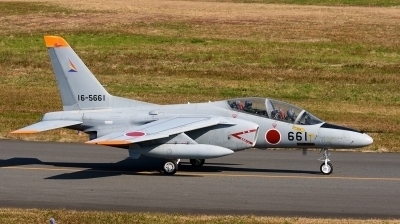 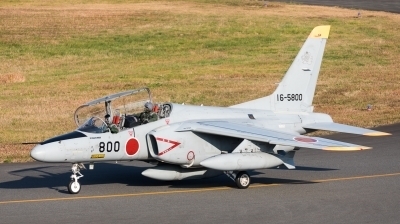 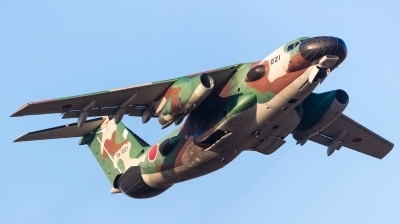 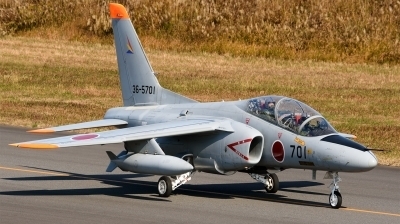 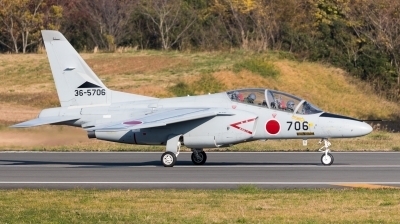 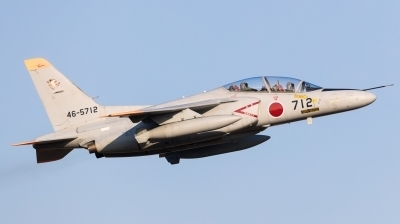 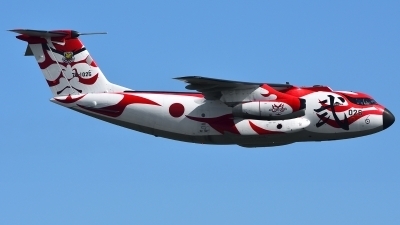 JASDF Iruma Air Base 60th anniversary special paint "KABUKI".